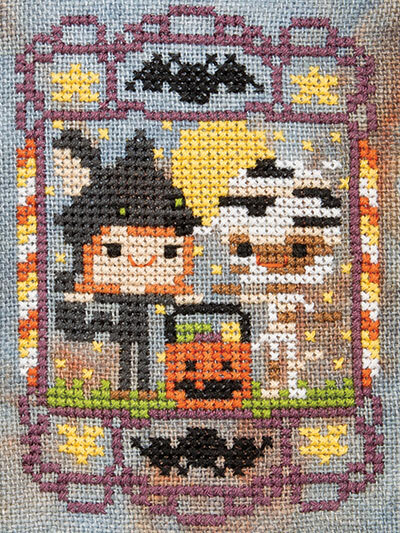 The fun and spooky designs in this special issue of Just CrossStitch will take your home decor to the next level of haunted Halloween flair! 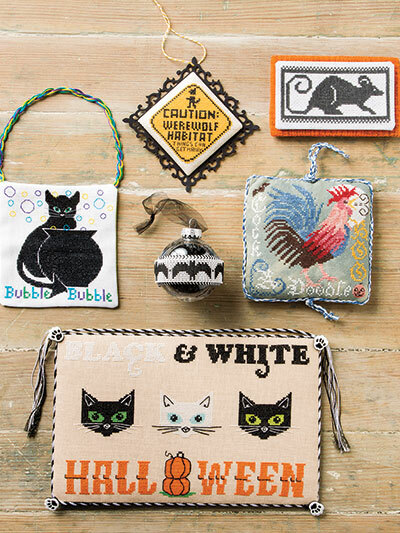 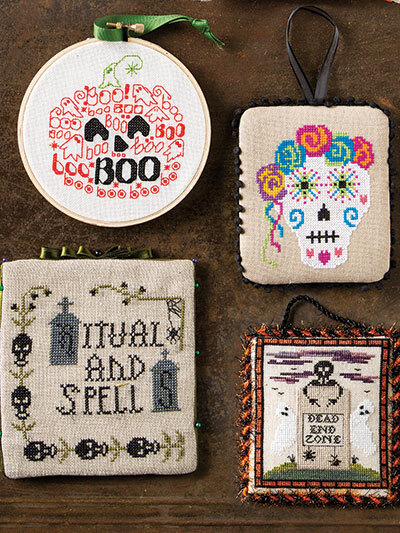 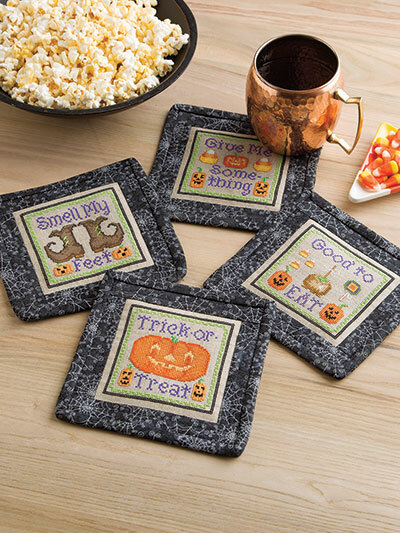 Look inside for ghoulish cross-stitch pillows, coasters and towels featuring bats, black cats, skulls and more. 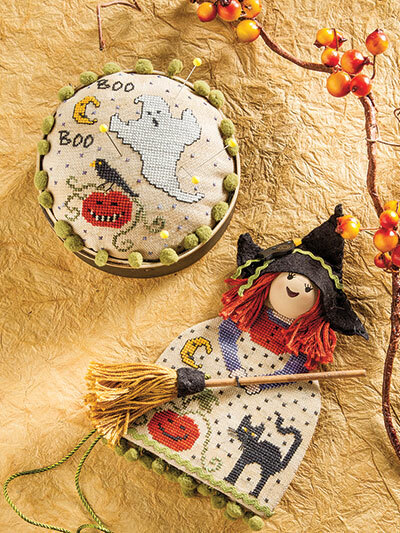 Stitch up some witches brewing potions, riding broomsticks and wearing their black hats with style. 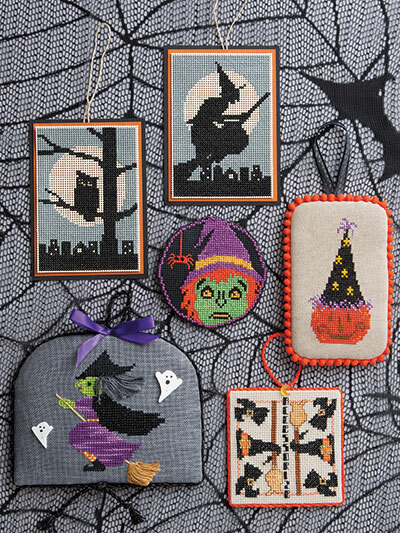 Create family memories with Halloween cross-stitch ornaments that can be handed down through the generations. 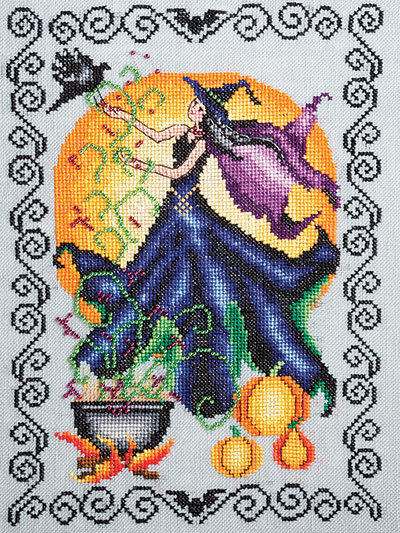 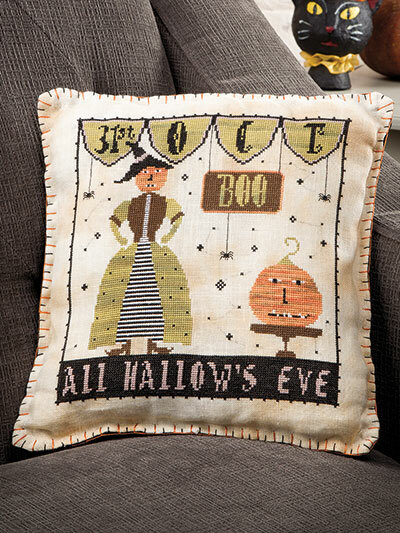 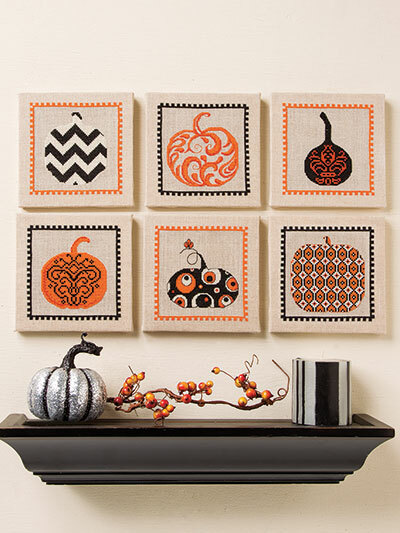 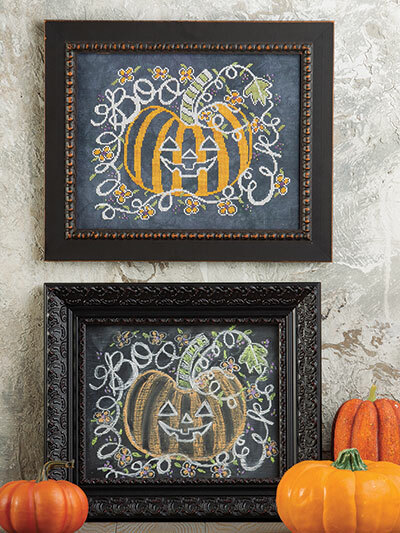 Order this special issue of Just CrossStitch today and have your home Halloween ready! 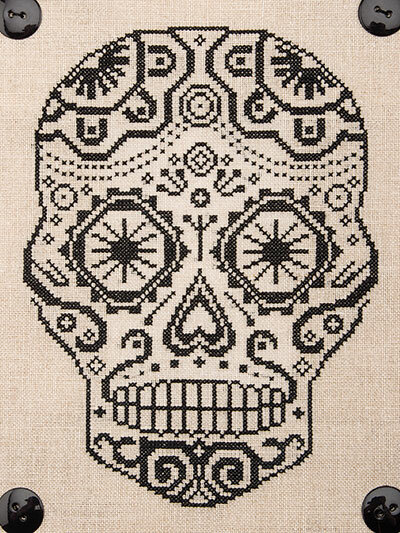 The cover project alone just took my breath away. 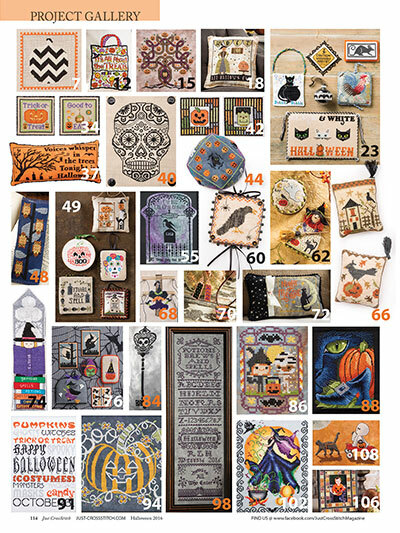 Lots of great designs to fulfil every taste. 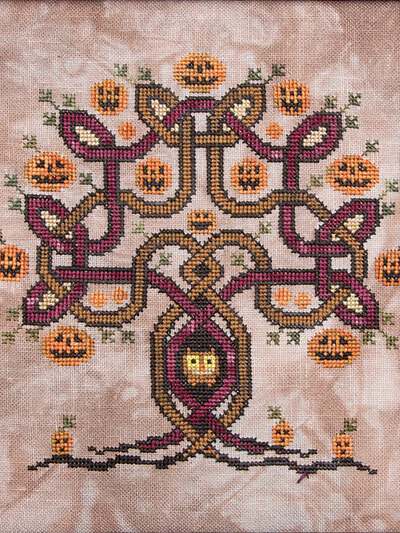 Spootacular Halloween CrossStitch Project to create. 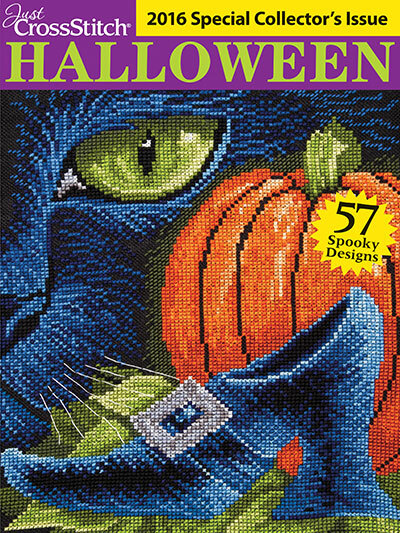 This Magazine Rocks!! 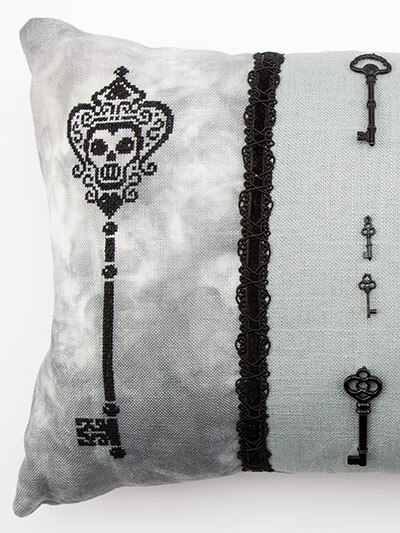 Great designs, am looking forward to do a lot of stitching over the next six weeks. 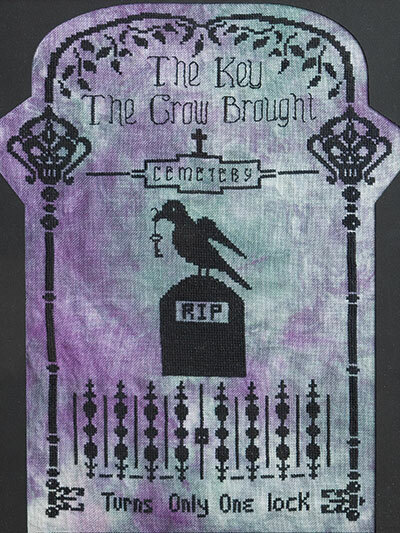 I am very disappointed though that there is no code so that I can add it to my digital library here.